There’s a growing shortage of properties with lakefront access in the Muskoka region. (As of the end of March 2019 there were approximately 20% fewer listings available than there were at the same time last year). So loved are these waterfront homes or cottages, with the tranquility they provide, they rarely come to the market. This is especially true for those properties on Bella Lake where natural conservation helps retain the pristine appeal of peaceful waterfront cottage or year-round living. Now you could have the opportunity to live in your own spacious, finely featured cottage/home in the woods. 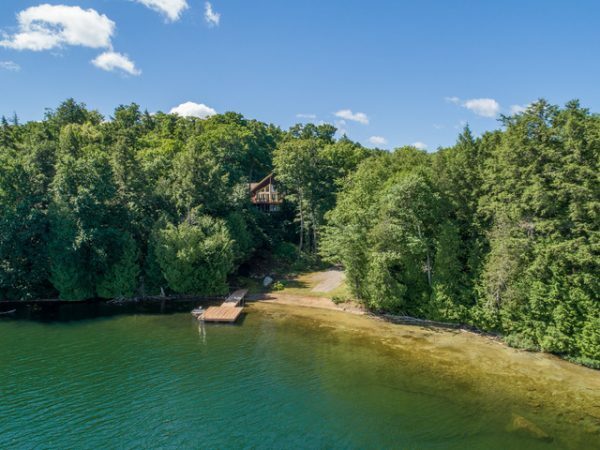 1048 Buck Island Road is a listing not to be missed if you’ve been waiting for a distinctive lakefront property. With 4 bedrooms and 3 baths, this 3,132 square foot cottage/home is a sanctuary nestled in the woods. Large windows let in plenty of natural light, which is enhanced all the more by the open floor plan. Wood window and door framing lends warmth to the stone tile flooring in the main rooms, including the gourmet appointed kitchen and dining room. Wood floors in the Master bedroom add to the cottage atmosphere and the feeling of a cozy retreat. The openness of this home expands onto the spacious screened-in Muskoka Room and extensive deck, ideal for enjoying the natural splendor with spectacular views of Bella Lake and the surrounding woodlands –views that can be enjoyed year-round. 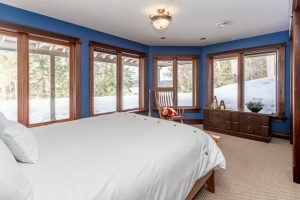 The lower level hosts four spacious bedrooms with lake views and large windows that immerse you in nature. Stay toasty during chilly Muskoka winters, with in floor heating throughout the lower level. 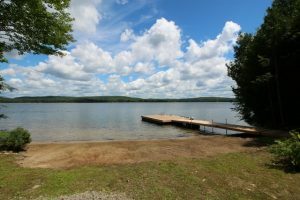 One of the many attractions of this property is the call of the loons and the extraordinary waterfront on pristine Bella Lake. This is a rare Muskoka property indeed with its own hard-bottom sandy shore; you’ll literally have your own private lakefront beach to enjoy. You can also keep your watercraft accessible with the large dock at the shoreline. An extra bonus is the spacious workshop/garage on site; perfect for auto and wood working hobbyists. 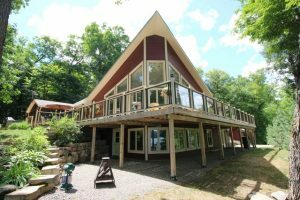 If you’re seeking the natural tranquility which can only be found along Muskoka lakes, this cottage/home could be just what you’ve been waiting for. You can view all the details for 1048 Buck Island Road through our guide or our online flip book. When the time is right to buy a cottage or home in the Huntsville /Muskoka region, or it’s time to sell your property, you want to work with a local realtor partnership, ready to help every step of the way. 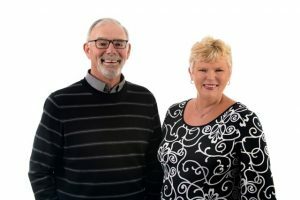 Rick Wearing & Sandra Parrott, Your Real Estate Partners not only call Huntsville home; they care about the community as much as they care about their clients. Together, they will put their expertise to work for you and your Muskoka home dreams. Please call them at 705-788-3535 or email at [email protected] today!